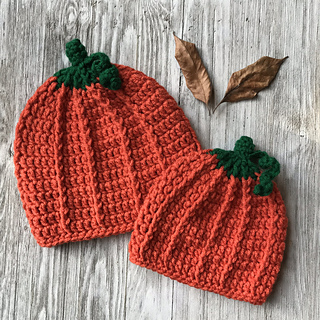 The pumpkin beanie is perfect for the little ones in your life this fall. It comes in 4 children sizes with measurements included. Pattern includes written directions for each size. It is worked from the top down with post stitches for the pumpkin textures. 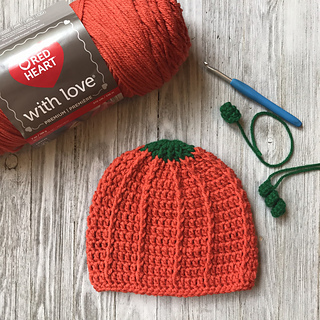 Attach a stem and leaf to complete the pumpkin look.